Choosing a sofa or chair design is made easier thanks to our catalogue featuring lots of different designs. 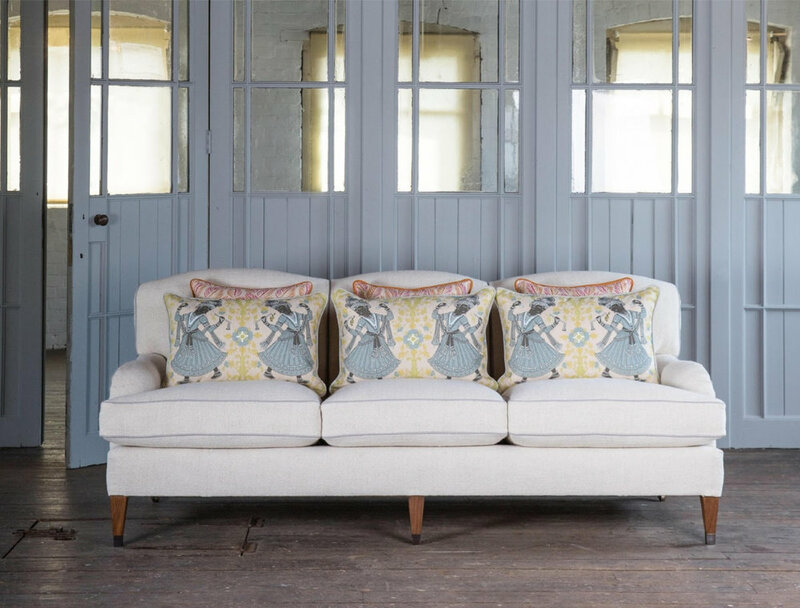 When choosing a design decide the shape of arms you want, whether you want loose cushions or fixed backs and what comfort level you are after, and you will have narrowed down your selection. 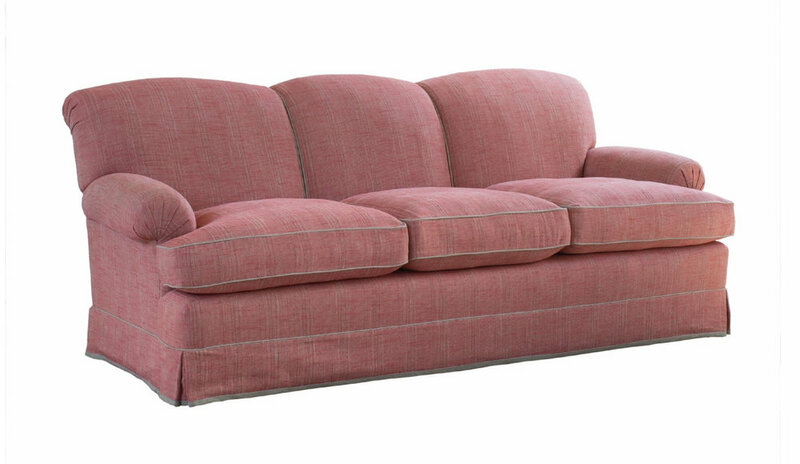 What fabric you want your sofa covered in is fairly vital and thankfully for you, something we can help with! If you are using a plain fabric then you need to use our standard fabric quantities but if your fabric has a pattern repeat then we will need to calculate how much fabric you will need to order. 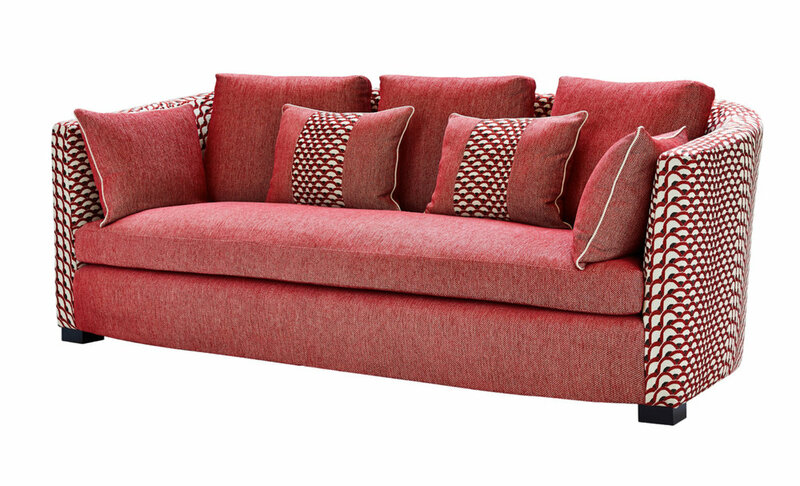 Once you have made the decision on fabric you then need to think about whether you want your piece of furniture piped in the same fabric or in a contrast (a Dudgeon favourite) or even no piping at all like our Flair sofa. Some designs have nailing instead of piping so you will need to decide which metal finish to go with. The majority of our furniture can have legs or feet in the wood finish of your choosing. If you have a very particular finish that isn’t on our list then you can send us a sample and then we can match it. Legs and feet can also be in a different shape to what we have used. You can change tapered to turned or even square to round. If you have decided that you already have too many legs on show in your room then you can also have a skirt. Don’t be afraid to get creative too with binding or tape on the bottom of the skirt! Our skirts come in a variety of guises and we will need to know right at the beginning which style you want to go with. If there’s one thing we value most at Dudgeon, then it would be the comfort level of our sofas, so much so that we have six choices of cushion filling to choose from. Whether you want your sofa to be soft as a cloud, ping back to tidiness or something in between then we have the right cushion for you. Step 7: Any design changes? Once you have chosen all the basics there is only one thing left to consider and that’s where it is going in your house, down to the exact place in your room. Then you need to consider what sizes you need and whether our standard dimensions need to be altered or not. While you are doing this it is also best to check what your access is like and if we need to adapt your sofa to fit into your house or room.